A growing number of Canadian adults currently have severe gum disease. 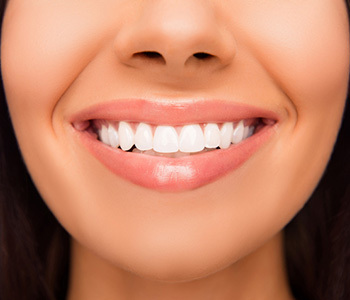 While the condition starts as a mild form of soft tissue inflammation known as gingivitis, severe gum disease (periodontitis) occurs when the gums separate from the teeth. When this happens, bacteria can accumulate in the pockets, leading to deep infection. Eventually, the teeth can become loose and fall out. The good news is that early detection and prompt treatment of gum disease allows us to identify the disease early and prevent its progression to periodontitis. When it comes to gum disease, prevention is the most crucial tool for patients and dental professionals. For patients, it’s important to maintain good oral hygiene, which includes brushing at least twice each day and flossing at least once. For dentists and hygienists, it means being able to identify early signs such as inflamed, bleeding gums, or receding gum tissue. For early gum disease, a deep professional cleaning is often enough to remove built up plaque and tartar. If there are deep pockets, a procedure known as scaling and root planing may be recommended. This deeper cleaning reaches all the way down to the tooth root to remove tartar and bacteria and the root is smoothed out. Patients may also need antibiotics to treat infection. While non-surgical treatment options are always preferred, patients with advanced periodontitis may require surgical intervention to repair lost bone and gum tissue. After the gum disease is addressed, restorations can replace any teeth that are lost. At Aberdeen Dental Centre, we believe that knowledge is power when it comes to your oral health. If you live in the Vernon, BC area and would like to learn more about the prevention and treatment of gum disease, call us today.